Custom Training to fit your unique needs. CSRgroup has the experience and knowledge to create customized training that is designed to fullfill your organization's unique requirements. Our Curriculum Developers specialize in developing and delivering courses in such diverse topics such as computer exploitation, hacker methodology and tactics, computer defense and security, penetration assessments, cyber Red Teaming, malware analysis and Rootkit technologis. Our staff has developed courses of instruction and training materials for clients such as the Department of Defense, Department of the Navy, Northrop Grumman Corporation, and the United States Marine Corps to name a few. Contact CSRgroup today, so we can help you develop a training program to fit your unique needs. 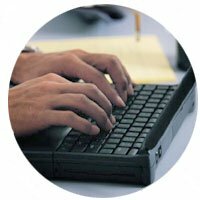 Unlike other companies that develop training in various subjects, all of our personnel have actual operational experience in the field of computer network operations. Our personnel aren't "Curriculum Development Specialists" with little practical experience, we are "Operators" with years of practical experience, who also enjoy teaching our skills to others! Our Malware Capability Assessment and Reverse Engineering (MalCARE) course focuses on how to quickly and accurately triage malware through pattern recognition. This course utilizes both dynamic and static analysis and is geared towards those individuals who need to not only identify malware and it's capabilities, but what kind of threat the malware can pose to your operations. When teaching students the challenging task of software reverse engineering (especially with malware), we find that students have a particularly difficult time understanding the stack. The best way to learn how the stack works is to fire up a debugger and step through a program of your choice. But getting started and knowing where to start can be difficult. To help students get started, we use slides such as these that walk students through PUSH, POP, CALL, and RET assembly instructions and how they manipulate the stack. If you have questions, or need malware reverse engineering services, please don't hesitate to contact us. CSRgroup has developed training and provides instructors for classes in Reverse Engineering, Malware Analysis, NDIS driver development, Rootkit Technology, Cloud based forensics, Network Analysis, Hacking Bootcamps, Wireless Exploitation and others. We can create custom courses of instruction in many areas to suit your specific needs, all written and taught by Subject Matter Experts. Contact us today for more information on how CSRgroup can help your organization meet their training needs.